This page is under construction! If you’d like to contribute, please contact us. Which UK venue has the deepest stage? Which UK venue has the most seats? 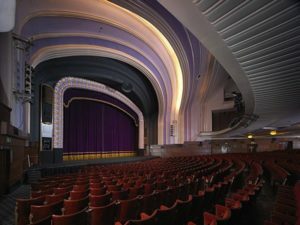 Which UK venue has the widest proscenium opening? Exeter Northcott: 15.63m (with no false proscenium masking), 12.23m with standard false proscenium. Where is the oldest stage machinery still in operation? Which has the most trapdoors? 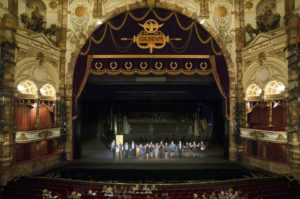 London Coliseum – first in Britain. Installed in 1904, and composed of three concentric rings which could move in either direction. Cost £70,000.